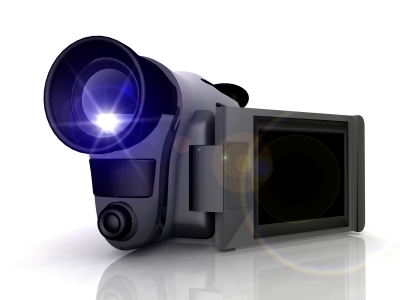 Hiring a wedding videographer for your wedding may not be as easy as you think. In order to find a true professional you need to ask specific questions and most definitely watch examples of the videographer’s work. Here’s a quick list of what you can expect from a professional wedding videographer to help you find the right person for the job. 1) A professional videographer will have the proper equipment, a low LUX camera, wireless microphones, lights and tripod. These are important for capturing quality video, but they do not guarantee a polished product, so be sure that after you check out what they’re going to shoot your wedding with to ask about the editing suite they use in post production. 2) Once you’ve been informed about the video and editing equipment, you should ask to see examples of their latest works. Viewing the latest work will let you know if the videographer takes their craft seriously. You’ll want to know if the videographer knows how to follow the movement and capture the special moments of the day, additionally you’ll see the quality of the post production. Someone who uses star fades for every transition is probably not the right person to shoot your wedding, unless of course you love that editing technique. But an overly produced video lowers the quality of the work, and makes your wedding day seem less special than it really was. 3) After watching the video, if you like what you saw, now ask about the videographer’s role on the wedding day. Where will they be, how do they perform a sound check, are they going to come to your rehearsal to get a feel for the flow of events on the day of your wedding. A wedding videographer who refuses to come to your wedding rehearsal is probably not the person you want to hire for this job. True professionals know that the wedding rehearsal is the best blueprint for the wedding day. 4) Once you’ve narrowed down your choice of videographers, ask about their wedding day packages. If you can’t afford even the smallest package, ask about getting the raw footage for yourself. If you’re able to get a copy from the videographer, you can always go back when you have more money and ask for them to edit the footage into the package you desire, or hold onto it and edit it yourself. Just remember, the rough footage will be at least 12 hours long, meaning that you’ll have to sort through the good, the bad and the ugly before editing the shots you really want for your wedding video. 5) Lastly, make a list of the people, places and things you want filmed for your video. If your 100 year old grandmother is attending your wedding, you most definitely want that in there. And you should also make a list of the people you don’t want in the video. For example, if you have a mean uncle who you had to invite, but don’t necessarily like, just let the videographer know who he is so you don’t wind up with Grumpy Uncle Joe all throughout your video. These tips will help you sort the professionals from the weekend warriors. Remember that you get what you pay for, so make sure that you’re comfortable with the decisions you make, because you can’t go back and recapture the memories of your wedding day. That’s why you should hire professionals. Hiring a friend or cousin might seem like a great money saving idea, but in the end, you’re stuck with whatever they can produce.